Now that Thanksgiving is only few days away, make sure you have some recipes for your turkey leftovers. 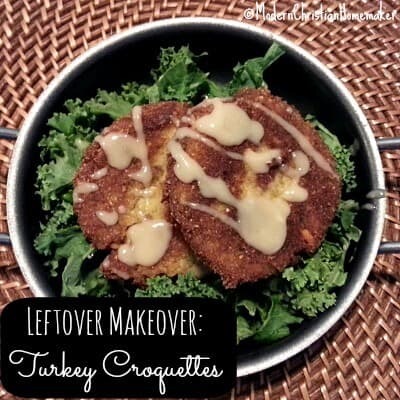 Today Modern Christian Homemaker shares their Thanksgiving Leftover Makeover – Turkey Croquettes Recipe! Read our tips on How to Cook a Turkey!